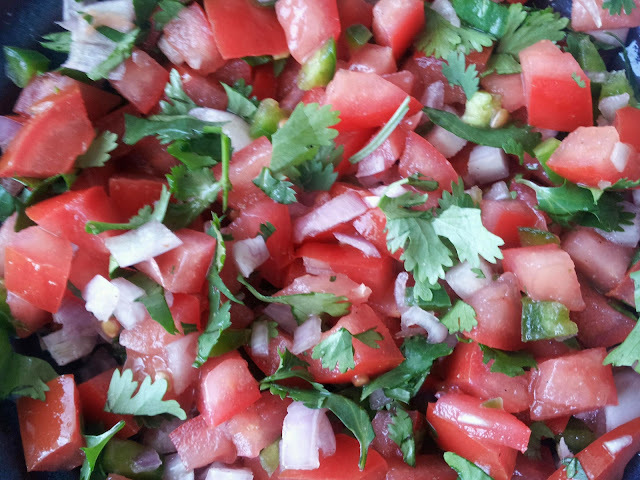 Fresh pico de gallo is great for parties, or can be used to top chicken, fish, black bean burritos, etc. This salsa is easy to prepare and keeps for up to 5 days in the fridge. If you are preparing this a day ahead, add cilantro 30 minutes before serving. Dice the tomatoes, shallots and jalapenos and add to bowl. The ratio of tomato to all other vegetables should be 2:1 by appearance. Season with pepper and salt and toss with lime juice. Add cilantro and toss. Serve chilled.